Our first social drinks in February were a roaring success. Everyone sampled the offerings from Balls Brothers (yes, we note the ironic name), Bury Court. 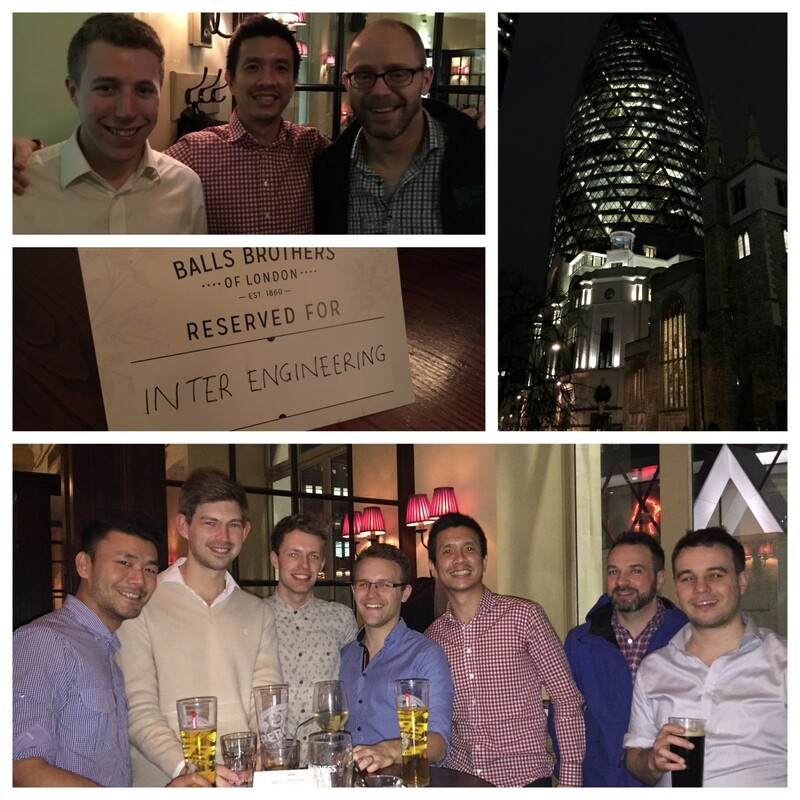 Situated at the bottom of the Gherkin in central London, the venue provided a great platform for networking with like-minded engineers in a convenient location for most to reach. Connections were made and new members joined the InterEngineering mailing list. Slowly but surely, we’re growing! See below for some pics from the night.